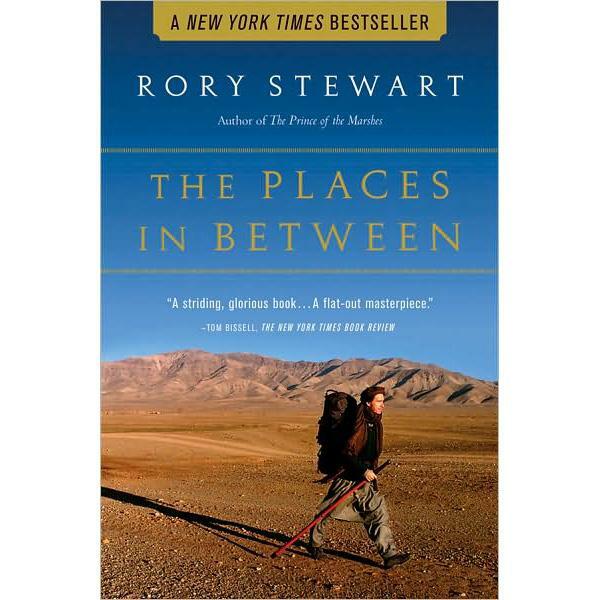 At the start of 2002, weeks after the Taliban in Afghanistan had fallen, Rory Stewart decided to walk from one end of Afghanistan to the other. Sixteen months prior he had just completed similar walks across Iran, Pakistan, India and Nepal. He felt he needed to connect these walks by venturing into the previously Taliban-barred country of Afghanistan. He begins his book that describes the journey, The Places In Between, by saying, “I am not good at explaining why I walked across Afghanistan.” His only uncertainty as to motive leaves the reader alone to contemplate the question. It seems best left this way, since those who understand his inner drive likely do so intuitively, while it would be hard to find an answer that would satisfy those who don’t. He sets out against the advice of many who remind him of the many immanent dangers of the people and geography that will be pitied against him. But armed with his knowledge of Persian dialects and Afghan culture, he sets out on what will become a 36-day journey across a country that — to most of the Western world — arouses images of dangerous men with guns. Whether by design or not, Stewart seems to adopt Barbur’s style of describing situations void of interior emotions. Even when describing his many brushes with death, he does so in a detached way, as if retelling someone else’s story. Because Stewart takes his personal motivations out of the story, he leaves room for what the book has most to offer: an understanding of present-day Afghanistan that enhances and sharpens whatever academic or media-filtered accounts one may have gleaned their understanding of the country from. And this is a refreshing way to inform oneself: through the eyes of a traveler who doesn’t pass judgments on what he finds, but tries his best to explain to those on the outside what he found within. Because, for the traveler, it is “The Places In Between” where we find the fascinating. In this way, Stewart offers not just an engaging tale of his own travels, but presents a certain kind of travel. After reading about the difficulties he encountered on the way, it’s not a chronicle that will encourage many to try a similar feet, but amongst those who intuitively know the answer to the question of Stewart’s motivation, his story is a soft prod in that direction.